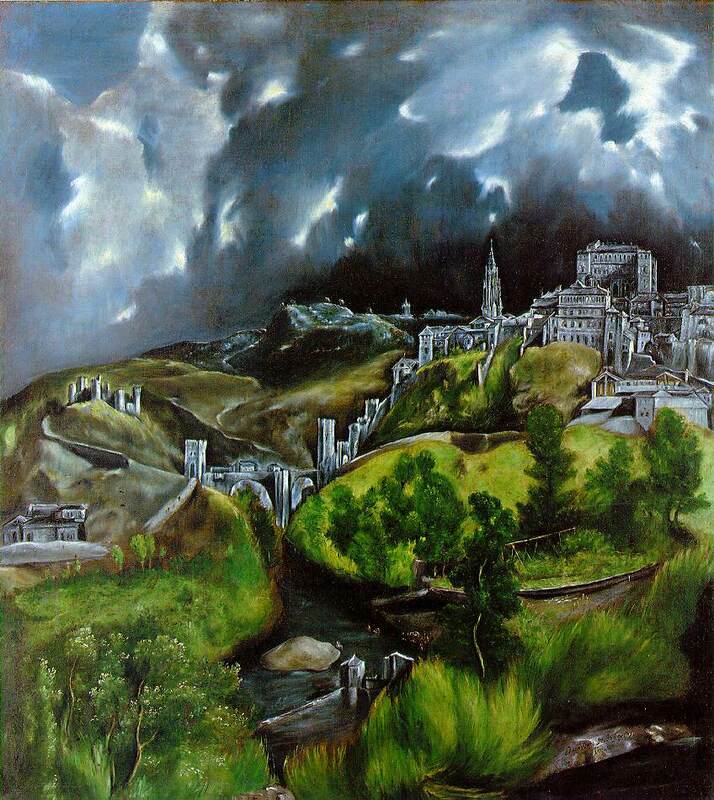 El Greco, "The View of Toledo"
Obviously, it looks much better in person at the Metropolitan Museum of Art, but I absolutely love this painting. El Greco, was active between 1577-1614, which I feel makes this painting even more impressive. The colors are so ahead of its time, very dark but at the same time the grass and sky is vibrant. I love the buildings, they don’t look like the stiff, perspective driven ones of the Renaissance and Mannerism.